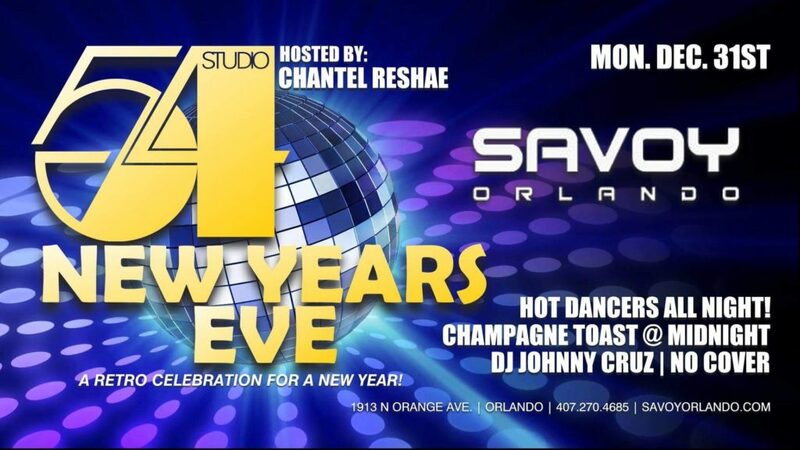 Joins us with FREE entry cover ALL NIGHT long at Savoy Orlando, on December 31 for our HUGE New Years Eve Party. Free Champagne toasting with our hottest and funny hostess Chantel Reshae. Enjoy retro Studio 54 Mixed Music with a well known hot DJ Jonny Cruz, mixing hot waxed vynl on stage all night long. Awesome cocktails and beer specials. Hot gogo dancers to enjoy with. So please join us on this fun filled New Year, with no cover. Ken Coffelletto, Brandon and Travis Whitt AWESOME bartenders. Celebrating the one and ONLY one Diva! Joins us with FREE entry cover ALL NIGHT at Savoy Orlando, on Monday, January 21st for our amazing Cher Concert After-Party. Awesome MARTINI drink specials. Hot gogo dancers to enjoy with. 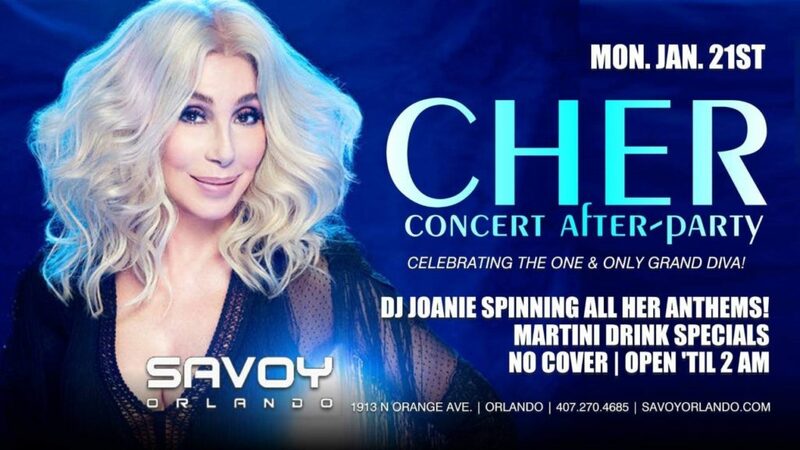 So please join us on this fun filled Cher Concert After-Party at Savoy Orlando, with no cover.